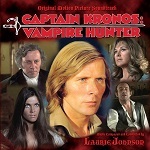 Laurie Johnson is often associated with music for British television, given that he has written quite a few Theme Tunes for series now widely regarded as cults, including many series from the 70s like "The Avengers", "Jason King" and "The Professionals". It is not so widely known that among his TV credits are the themes for "Animal Magic" (almost a cult itself, the signature tune is called "Las Vegas") and "This is Your Life". While he may always be remembered for these TV themes, he has a huge breadth of experience in composing, with early work arranging in big band style for the Ted Heath Orchestra, and including many works for the stage and concert hall. One such stage production was "Lock up Your Daughters" with lyrics by Lionel Bart (of "Oliver!" fame). And one of a number of "Big Band" pieces of a different sort is his "Edinburgh Castle" which is a march for military parades. 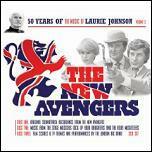 You will also see Johnson credited as conductor for a number of recordings of film and TV music. Johnson himself has composed several soundtracks for films, often displaying a certain element of comedy, whether overt (like "It shouldn't Happen to a Vet"), very black ("Doctor Strangelove: Or, How I Learned to Stop Worrying and Love the Bomb" to give it its full title) or just a certain hint of satirical tongue-in-cheek, like "Captain Kronos: Vampire Hunter" who is a fantasy hero with a theme to match - this score has now been released on CD and digital, see album cover to the right. In a more serious romantic setting, Johnson created the scores for a series of films made by Gainsborough Pictures based on romantic novels by Barbara Cartland. The films were four in number: "The Lady and the Highwayman", "A Hazard of Hearts", "A Duel of Hearts" and "A Ghost in Monte Carlo". It is probably those TV series for which his association is strongest. His work with "The Avengers" included the original theme, the revamped tune for The New Avengers, and also a lot of the incidental music for the series, which includes some played for laughs and some played seriously. The stiking thing about his music as a whole is that it seems to keep pace with the times. From his earlier big band work to the matter-of-fact TV themes for "This is your Life" and "Animal Magic", through the very hip music of "The Avengers" and "The New Avengers" up to the more hard-hitting dramatic series of "Jason King" and "The Professionals", his instrumentation and melodies seem to take on the musical shape of the era in which they were written. Riviera Police - the theme is known as "Latin Quarter"